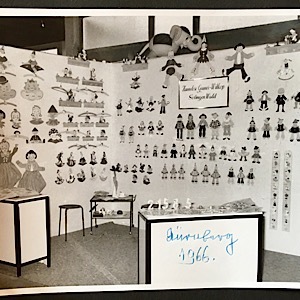 Which is the most famous Toy Fair in Germany? Most likely it’s the Nuremberg Toy Fair, taking place once a year. 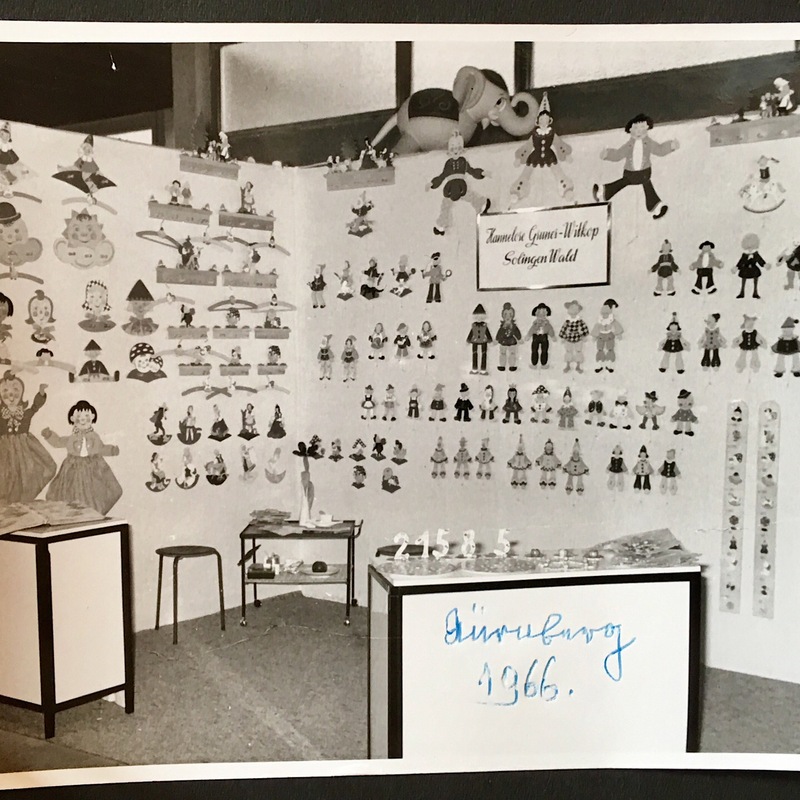 This is where Mrs. Gruner-Witkop used to show the latest products of her manufactory „Original Bergischer Engel Solingen-Wald“. Each and every design she had drawn herself. Most successful however were the jumping jack figures. That all took place back in the 1950s and 1960s. This entry was posted in -Nach 1945, +Hampelmann.